EDIT: As of 2/2013, looks like Citibank is putting a stop to the 2 browser trick for 2 American Airlines credit cards. As I’ve mentioned in previous posts, one should always make every purchase possible with a rewards credit card. Rewards credit cards allow you to get cash back, points or frequent flyer miles on every purchase that you make. It’s free money, and if you’re not making every purchase with your credit card, you’re not maximizing on the amount of rewards you can earn. One exception: remember to never make purchase on items you don’t need just to earn a few extra bonus points; in most cases this extra spending may not be worth it. You’re better off spending money only on purchases that you can afford. While rewards credit cards give you rewards on every purchase, the absolute fastest way to earn free rewards is with sign up bonuses. Credit cards want a place in your wallet. For every purchase that you make, your credit card company makes money in the form of transaction fees. They make enough money to be able to share some of it with you in the form of cash back, points, or miles. In order to entice customers to use their credit cards, banks often offer huge sign up bonuses to get you hooked on their credit card. These credit card companies want their consumers NOT to use their credit responsibly, which will lead to costly credit card debt. These companies will make ridiculous amounts of money by charging high interest rates and fees. Don't fall for this trap. Today I am going to talk about the infamous “2 browser trick” for earning 100,000 American Airlines frequent flyer miles. This whole process will take about 5 minutes and it is simply the fastest way for you to earn the most American Airlines free miles possible. I’ve heard about this trick for a long time, but recently I’ve become extremely intrigued in signing up for this. As I’ve mentioned before, we are recently engaged, and while planning our wedding we are also planning on going on an extravagant honeymoon… for free! American Airlines has several affiliated credit cards. The “2 browser trick” will involve applying for both a VISA branded AA credit card as well as an American Express branded AA credit card… at the same time. The current best promotion (which may not last very long) is a secret sign up link that gives you 50,000 AA miles after signing up as a new cardholder for either the VISA or the AMEX version of this card and spending $3000. To get in on this fantastic deal of 100,000 AA miles, you need to apply for both cards at the same time. If you apply for the VISA card today and the AMEX card tomorrow or next week, you will not qualify, because you are no longer a first time new American Airlines cardholder. 1. 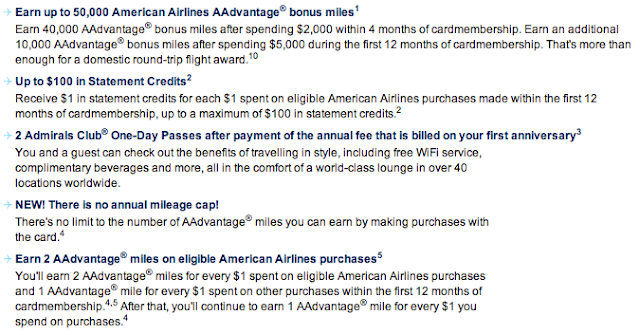 First sign up for the AAdvantage frequent flyer mile program here. It’s fast, easy, and free. 2. You need to have two different Internet browsers in order for this trick to work. You can use any two browsers (Chrome, Firefox, Safari, Internet Explorer). Open two separate Internet browsers (take your pick, any two will work). 3. In one browser, open this link to sign up for the Visa AAdvantage credit card. In another different browser, open this link to sign up for the AMEX AA credit card. 4. Fill out both applications in both separate Internet browsers, but DO NOT click submit yet. After both applications are filled out completely, quickly click submit in one browser window, then go to the other browser window and also click submit immediately afterwards. If everything goes well, you will be approved instantly for BOTH credit cards at the same time. One additional benefit for the 2 browser trick is that your credit report may only be pulled once (instead of twice), giving you only 1 hard inquiry on your credit report, which will only lower your credit score by about 5 points. My fiance and I learned that it is best to apply for this card during the day time. She applied at 11pm, and the cards were NOT instantly approved. She had to wait until the office opened in the morning to call and get the cards instantly approved over the telephone. When calling about the cards, only call regarding one card at a time, and NOT both, or else you could risk losing out on the deal. The terms are the same on both the Visa card as well as the AMEX card. The risk to using the 2 browser trick with the secret links that I have provided is that AA may instead give 30,000 AA miles with each credit card. So you are getting either 100,000 miles or 60,000 miles with both credit card signups. There is no absolute guarantee that this will work for everyone, although a simple google search reveals that the 2 browser trick works practically for everyone who has good credit. 6. I would apply for the 2 browser trick before the deal ends (expiration on the deal is unknown). In the past, AA has offered up to 75,000 miles with each sign up, but currently the best available public offer is only 30,000 miles. The links I have provided are secret links that give 50,000 miles with each sign up. (I do not make any money from the above secret links). There are other offers on the Citibank page that give you 30,000 miles for spending $1000, but I recommend doing these 2 specific deals for the 50,000 miles because you get a lot more miles all at once. As you can see, these miles can really take you to far and exotic places, for free. You can redeem your AA miles at their redemption website here. 8. In order to qualify for this deal, we will need to spend $3000 on each card within the first 4 months, which will be easy for us to accomplish as we pay for wedding services. I am determined to go on our honeymoon for free as a way to really kick off our new married lives together. You can read more about the 2 browser trick from one of my favorite travel blog sites: Million Mile Secrets. 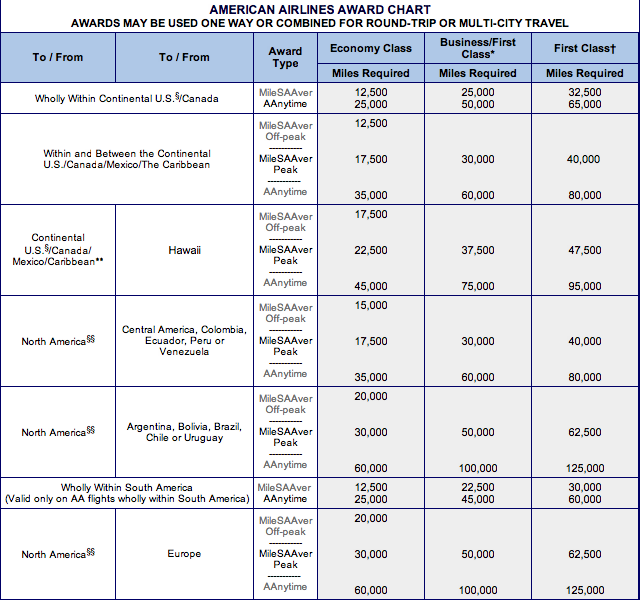 Update: here are 2 variations of the 50,000 American Airlines mile cards from the Citibank website that both expire 4/30/2012. Please read each option carefully and decide which one works best for you. The deals below will require greater spending (40,000 AA miles after spending $2,000 within 4 months and then 10,000 AA miles after spending $5,000 within the first 12 months of cardmembership).